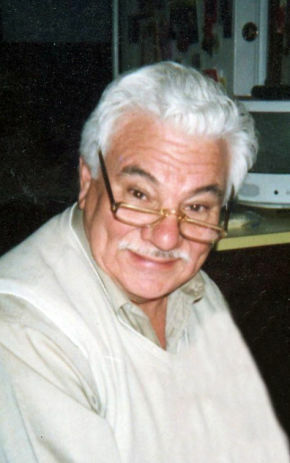 Dante J. DeNicola, age 88, of Fair Lawn, NJ passed away on Wednesday, January 30, 2019. Born and raised in Bronx, NY, he resided in Fair Lawn for 61 years. A proud Navy veteran of the Korean War and National Guard, he was a member of V.F.W. Post 281 of Fair Lawn and volunteered at area veteran facilities in various ways including serving communion and dressing as a clown, bringing peace and joy to others. A faithful parishioner of St. Anne R.C. Church in Fair Lawn, he served as an Extraordinary Minister of Holy Communion and was a member of the Secular Franciscans. Dante was also a member of the Knights of Columbus St. Ann Council Post 2853 of Fair Lawn, the Cosmos Club of Fair Lawn and volunteered at senior centers in the area. Prior to retiring, he was a lithographer with Meehan-Tooker in East Rutherford for 40 years. Beloved husband of 63 years to Frances (Popolo) DeNicola. Loving and devoted father of Dante DeNicola and wife Gayle and Nadine Nelson and husband Jim. Cherished grandfather of Justine DeNicola. Dear brother of John DeNicola and the late Joseph DeNicola. The family will receive relatives and friends Monday, February 4, 2019, 2-4 & 7-9 pm at Vander Plaat-Caggiano Funeral Home, 13-31 Saddle River Road, Fair Lawn, NJ. A Funeral Mass is planned for Tuesday, February 5, 2019, 10:30 am at St. Anne R.C. Church, 15-05 St. Anne Street, Fair Lawn, NJ 07410. Cremation will be private. In lieu of flowers, donations in memory of Dante to St. Anne R.C. Church would be appreciated.